ALL THE GEAR BUT NO IDEA? AMP UP YOUR SKILLS AND MASTER YOUR OWN BODY-WEIGHT WITH THIS FUNCTIONAL, GYMNASTICS-INSPIRED TRAINING. WHEN: Friday 17pm with Juri. WHERE: Adidas Runbase, Schleusenufer 4, 10997 Berlin. THE DEAL: The class to come to to master your own body-weight and perfect those moves we wish we could all do like handstands, single leg squats and even things like the human flag. THE WORKOUT: Each week is a different focus. Our class was handstands and Juri makes it look so damn easy. Expect a variety of different exercises and drills to help you build strength in all the right muscles and work up to the full posture with progressions. This isn’t the class for you if you want to get a cardio-blast kind of work-out. You will most likely get a sweat on and wake up feeling sore the next day but during the class movements are slow and mindful, with full attention given to good form and technique. This class is tough as it makes you focus on moving the body correctly and fluidly - and you can’t be lazy about it. Handstand class moves through single leg deadlifts on a box to build strength in the hamstrings and glutes and bring attention to keeping a straight back. Then move on to using the gym ball and practise pikes to engage the core (without relying on resting on a wall for support) and start to recruit muscle memory in order to achieve that straight handstand. Practising with straight legs and straddle legs to try and move up into the handstand is a real struggle and demands an incredible amount of core strength. After a few tries you will feel this and start to tire! Finally take it to the wall and practise moving up and down through handstand. Class ends with a good stretch and a bit of mobility. Juri is a gymnastic god but strikes a good balance between encouragement and inspiration (you only have to look at the beautiful man in a handstand to be inspired - but its not in a showy-offy way - praise the lord!). Once you hit this class up, we can almost guarantee you will want to return for another. The progress and kind of training here might just make you discover your body in a whole new way. And that’s bloody beautiful. 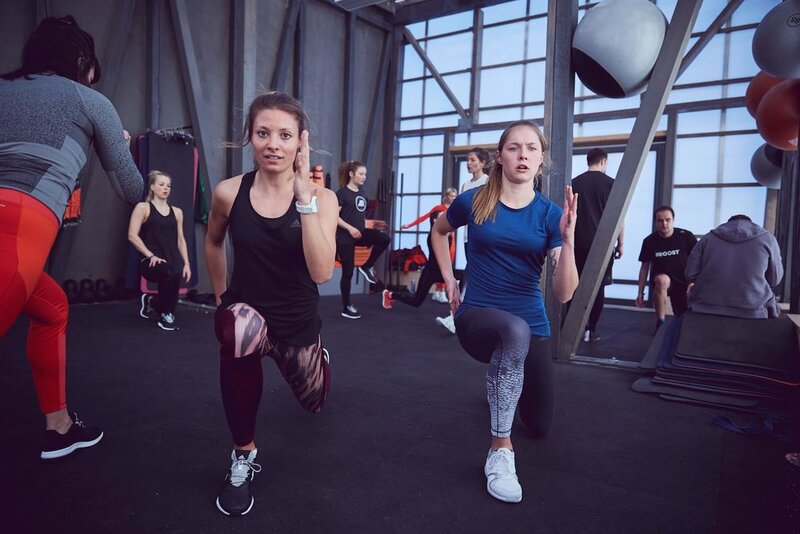 THE PRICE: A drop-in class is €10 or €70 for a monthly membership (its also part of the Urban Sports Club Offer). They charge €1 to borrow a refillable water bottle and another €1 for a shower towel. BEST FOR: Becoming an awesome gymnast who can do all the tricks (your Instagram profile just got extra). Sophie Heywood 3 December 2018 Wilhelmsaue 22, 10715 Berlin.